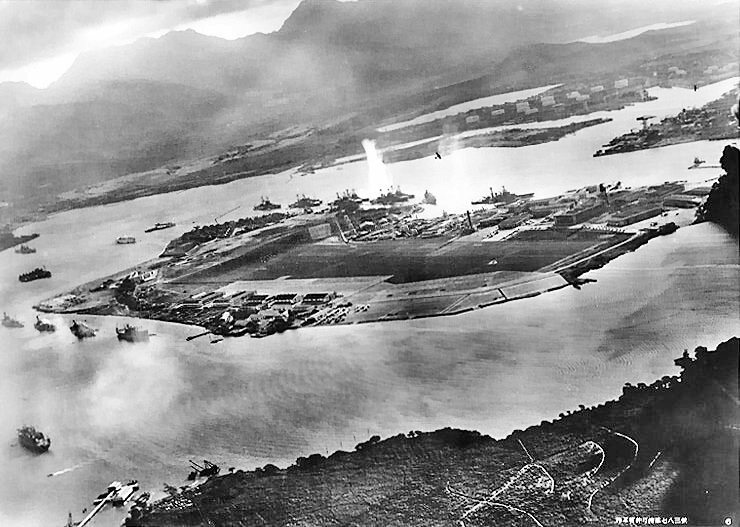 “Yesterday, December 7th, 1941—a date which will live in infamy—the United States of America was suddenly and deliberately attacked by naval and air forces of the Empire of Japan.” Those words began US President Franklin D. Roosevelt’s speech to Congress as he asked for a Declaration of War against Japan. 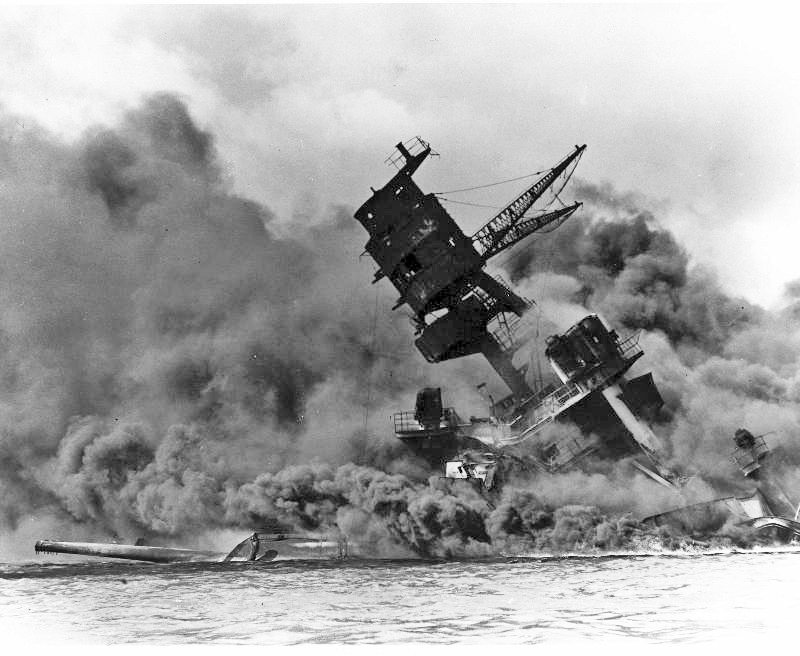 77 years ago today, Portsmouth NH residents heard a news flash on the radio that the Japanese were attacking our Naval base at Pearl Harbor. That marked the U.S. entrance into World War II. 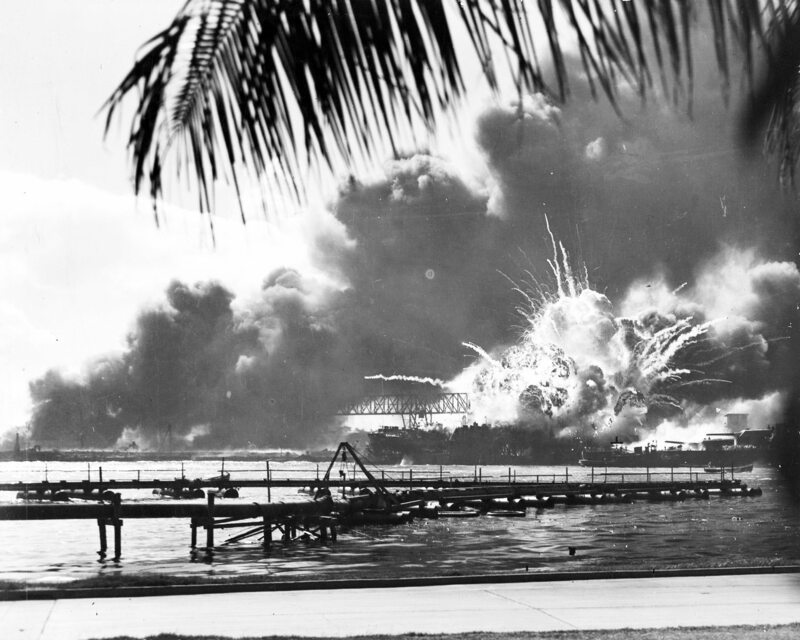 The story below is reposted again with permission from a good friend of mine, and fellow Realtor Saul Klein, whose father was actually at Pearl Harbor during the attack. 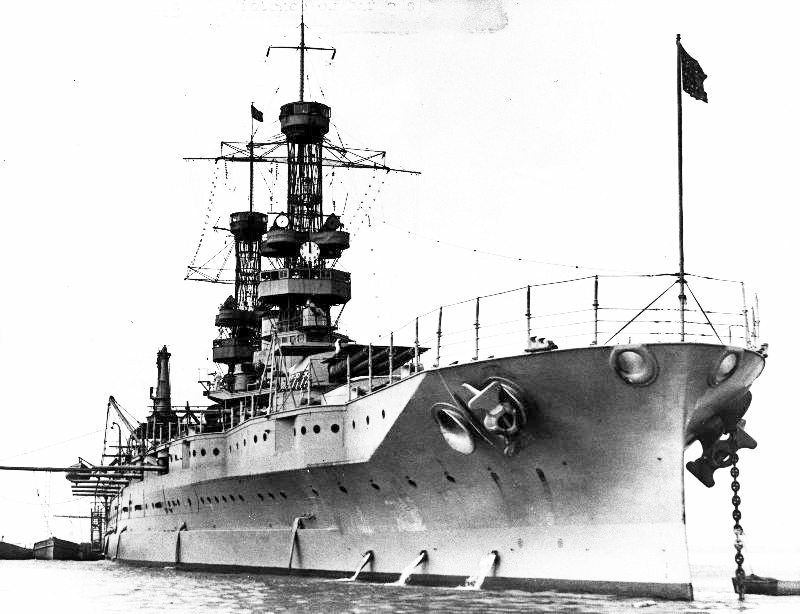 The elder Mr. Klein was a young sailor at the time and sat down many years later with his son Saul and told him the whole story of what he saw and did on that December day that according to then President Roosevelt was “a day of infamy.”. To set the stage, listen to this radio news flash interrupting a football game broadcast. 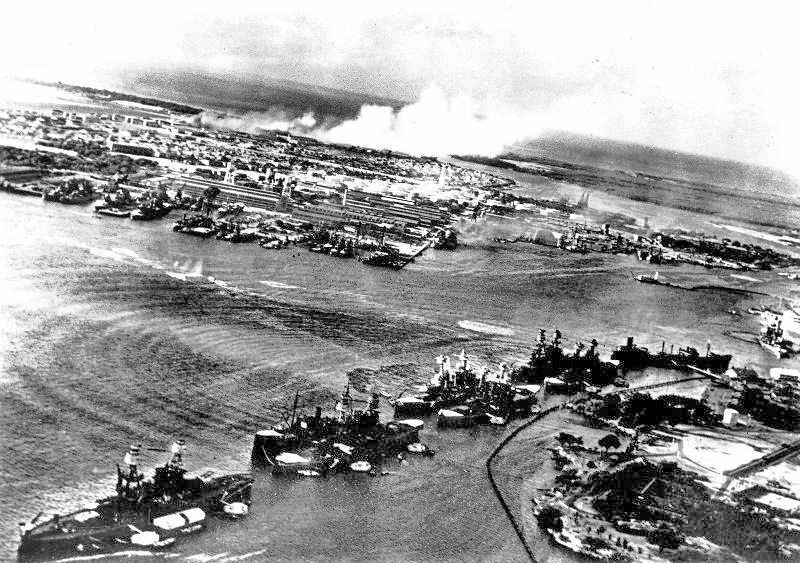 Pearl Harbor photo taken by Japanese pilot when the attack started. 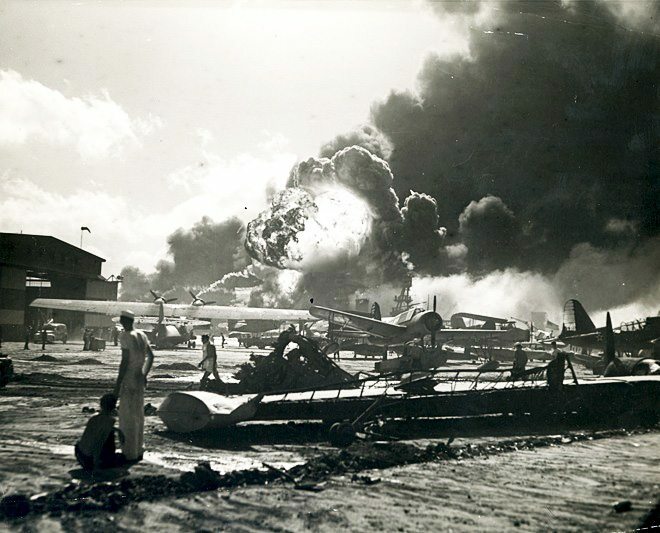 “Battleship Row” is in the foreground and Hickam Field is on fire in the background. Above is an aerial view of the USS Arizona Memorial today. 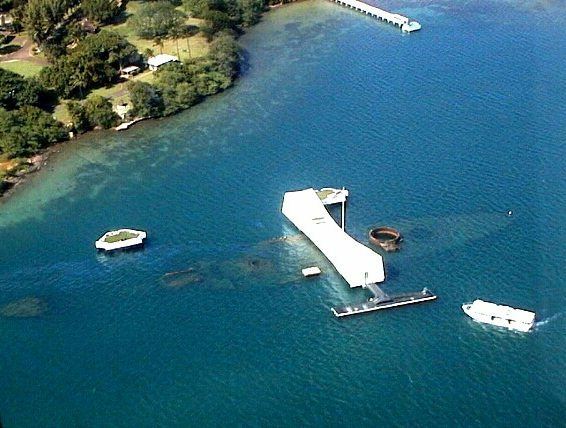 If you ever visit Hawaii and are on the island of Oahu I very strongly urge you to visit the USS Arizona Memorial at Pearl Harbor. It is a moving experience akin to visiting the Vietnam Wall in Washington DC. 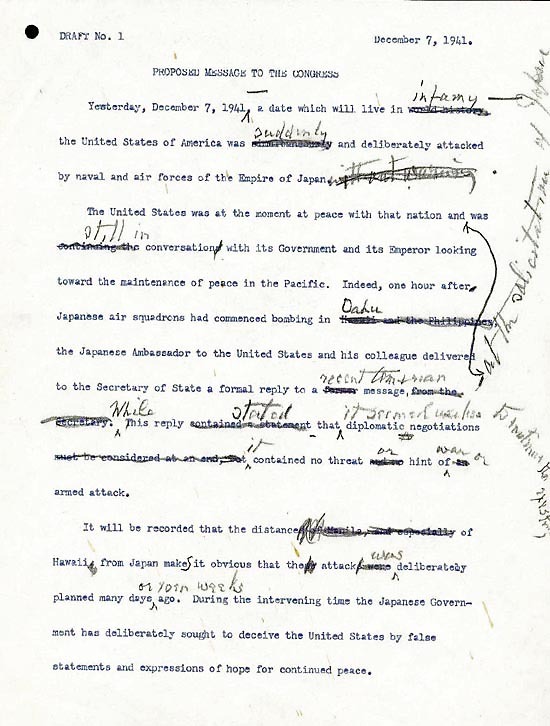 President Roosevelt’s first draft of his “Day that will live in infamy” speech. He seems to have changed the speech and added the word “Infamy”.